Looking for a Used Legacy in your area? CarGurus has 13,619 nationwide Legacy listings starting at $1,495. Every car category has its hidden gems, and the 2016 Subaru Legacy is one of these. The Legacy has been a separate model from the Outback since 2015 and is available only as a sedan for the upcoming model year. Subaru steers those looking for a wagon towards the Outback, perhaps figuring that a bit more ground clearance and plastic body-cladding won't hurt anyone. Despite being completely renewed in 2015, the 2016 Legacy has additional important changes in store for it that we think buyers will like. It also seems certain that the 2016 Subaru Legacy has its work cut out for it. 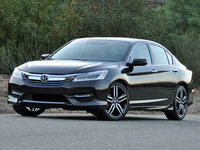 It competes with the mega-popular Camry and Accord sedans, and the Altima, Mazda6, Ford Fusion, and Hyundai Sonata are no slouches either. One would think it would be hard for the Legacy to bring any unique characteristics to such a competitive segment--but that is far from true. First off, the Legacy is its segment's safety leader; although other models have earned the IIHS Top Safety Pick Plus designation, the Legacy scores the highest with its “Superior” rated EyeSight forward collision litigation system. It also offers very impressive fuel economy and standard all-wheel drive. Step back from the sales numbers and it looks like the big sellers are actually the ones trying to keep up. The 2016 Subaru Legacy is offered in just four trims. First up are the three with the 2.5-liter, horizontally opposed (boxer) four-cylinder engine, with 175 hp: the base 2.5i, the Premium, and the Limited. MSRP for the 2016 Legacy starts at about $23,000. The Premium trim adds content, with the EyeSight system, Navigation, and a moonroof as available options. The Limited adds leather and runs at about $31,000 with all the available goodies included. On top of them all is the Legacy 3.6R, with a 6-cylinder, 256 hp engine and leather--add in the safety and infotainment package that you'll want and the price comes to about $34,000. These are very competitive prices for the Legacy's segment, and Subaru doesn't appear to charge extra for its AWD either. Reviewers that have driven the Legacy rate it above average in handling and road manners. Subaru retuned the electric power-assist steering for all 2016 Legacy models in order to provide a more linear and natural feel, following a 2015 improvement in dampening aimed at bettering the ride over washboard surfaces. 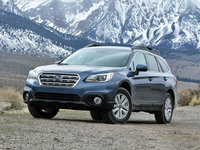 Past models felt underpowered by the 4-cylinder engine, but testers claim that the newer Legacy cars equipped with Subaru’s newest engine and Lineratronic Constantly Variable Transmission (CVT) feel decidedly perkier. The gearless transmission is smooth and has the benefit of returning outstanding fuel economy when coupled with the 2.5-liter 4-cylinder; the 2016 Legacy has been estimated by the EPA at 26 mpg city/ 36 highway/ 30 combined. The Legacy with its AWD system is also more fuel efficient than the current Camry 4-cylinder (non-hybrid) in every category and 2 mpg better in combined. We should point out that the noise signature of the Legacy’s 2.5i boxer engine is different than that of in-line engines; most find it to be louder and buzzier. The Legacy 3.6R's 3.6-liter V6 has a reputation for smooth power delivery, but like all V6 cars in the class, that comes at a cost to its fuel economy. Combined mileage in the Legacy 3.6R dives to just 23 mpg. The EPA says that that will add about $400 to your annual fuel costs, with today's relatively low gas prices. Inside, the 2016 Legacy will feature heated cloth seats (there is no warmer combination), with leather available only on top trims. Space is considered good for the segment. New features for 2016 include auto on/off headlights and wipers. The available infotainment system is popular with reviewers for its large, clear, easy-to-operate touchscreen. New for 2016 is the Subaru STARLINK Safety Plus package on Limited and Premium vehicles already equipped with the optional technology package. STARLINK includes SOS Emergency Assistance, Enhanced Roadside Assistance, Automatic Collision Notification, Maintenance Notifications, and Monthly Vehicle Health Report and Diagnostic Alerts. An optional monthly subscription adds Stolen Vehicle Recovery Service, Vehicle Security Alarm Notification, Remote Lock/Unlock, Remote Horn and Lights, and Remote Vehicle Locator. Returning to safety, the Legacy was one of only nine models (out of hundreds) that had zero driver deaths over a three-year span in IIHS' most recent study on deaths per model. In addition to its perfect crash test results and available EyeSight forward collision prevention system, Subaru offers lane-keep assist, rear cross-traffic alert, and blind-spot detection in its technology packages. Be sure to check that your Legacy has these if safety is a top priority. The 2016 Subaru Legacy is a vehicle that stands out in its class for safety, efficiency, and value. Those looking for a midsize sedan that they won’t see on every corner should consider putting the Legacy at the top of their list. John Goreham is a life-long car nut and recovering engineer. In the early 1990s, he was part of a team that built a solar-electric race car from scratch. In addition to his work at CarGurus, John covers automotive news at Torque News and GM-trucks.com and is a contributor to CarTalk and BestRide. Aside from all things automotive, John loves fishing and hockey, preferably in the company of his two boys. 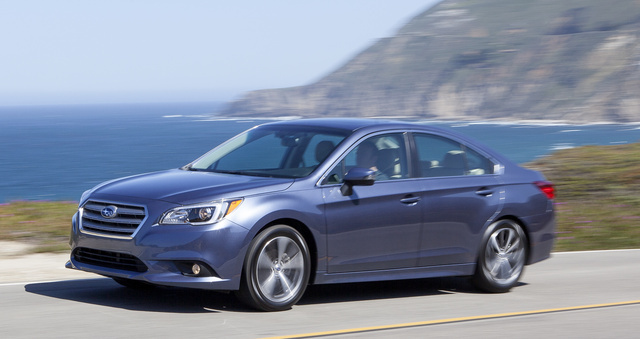 What's your take on the 2016 Subaru Legacy? Robert Just like its competition, cheap materials and cvt require a full-time mechanics on standby! GuruB9MMW Robert, you must have gotten a lemon because we love ours. Users ranked 2016 Subaru Legacy against other cars which they drove/owned. Each ranking was based on 9 categories. Here is the summary of top rankings. 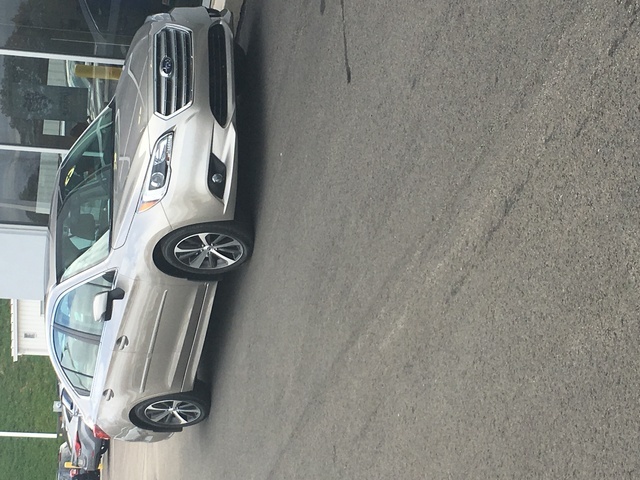 Have you driven a 2016 Subaru Legacy?